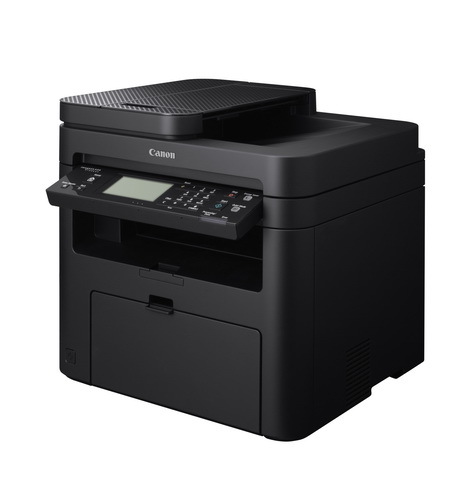 Canon today announces the new imageCLASS LBP162dw high speed B&W laser printer, supports up to 28ppm mono document print speed, and is designed to boost workplace efficiency with convenient mobile printing technologies such as AirPrint, “Google Cloud Print™” and free mobile application, Wi-Fi network print function, auto duplex printing and the incorporation of UFR II and PCL printer languages. With the efficient document handling solution and compact in size, the printer is the perfect choices for SOHO users. For A4 mono document printing, imageCLASS LBP162dw supports up to 28ppm. It also supports smaller paper sizes including A5 and A6. This can have a wide range of applications from printing invoices to flyers. A print resolution of up to 1,200 x 1,200dpi can deliver crisp text and attractive graphics, ensuring professional quality while saving precious time and energy for high volume printing. Incorporated with mobile printing technologies including “Canon PRINT Business” mobile application, Canon Print Service, AirPrint, Mopria™ and “Google Cloud Print™”, the printer offer added convenience to users to make high quality printing directly from mobile devices, providing a competitive edge in today’s fast-paced business world. 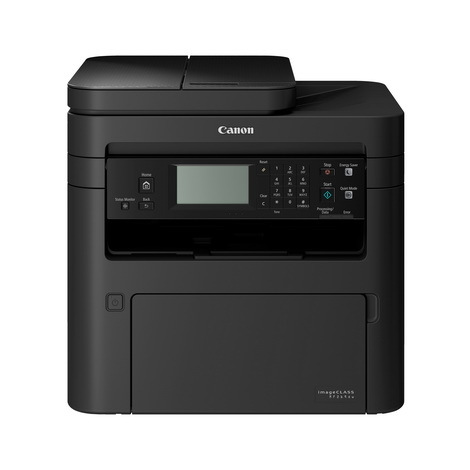 The new printer supports the free “Canon PRINT Business” mobile application which is designed to meet various office printing and scanning needs. It allows users to print directly from iOS and Android™ devices via network1 and supports a vast variety of commonly used file types, including image files in JPEG / GIF / BMP / PNG / TIFF formats, Microsoft Office files, iWork files 2 and PDF files. Direct printing of online articles and web pages is also possible for easy and quick backup of useful information. Setup and connection are simple and easy. Comprehensive print settings are also available to meet various needs. iOS, Android™ and Windows® Mobile users can make direct wireless printing of documents, photos, emails or web pages from their mobile devices anytime, without the need to connect to a computer nor installation of any printer driver. The Canon Print Service, AirPrint, Mopria™ and Windows® 10 Mobile standard further enhances connection and operation between iOS, Android™ and Windows® Mobile devices and the printer, bringing the best out of the devices’ printing functions. After registering for Cloud Print service from the printer’s network interface (Remote UI), users can send out print orders through any mobile gadget with the support of “Google Cloud Print™”. Even when you are out for meeting, photos, documents or emails from your Google account can be sent to the printer remotely, helping you work with higher efficiency and flexibility. The printer incorporates Canon’s proprietary Ultra Fast Rendering Technology (UFR II) for efficient printing by offloading some of the data processing tasks, such as the processing of images and half-tone graphics to the computer, taking full advantage of the computer’s high speed processor. The processed data will then be highly compressed, resulting in a much smaller graphical file that dramatically reduces the printer’s processing time. It also comes with PCL printer language to support printing of a wider range of documents, guaranteeing easy integration with different business applications and printing needs. 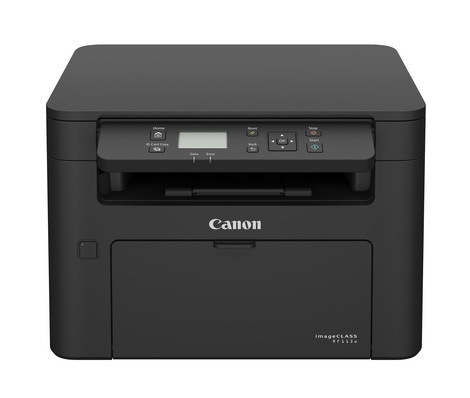 The printer features a built-in Wi-Fi 802.11b/g/n wireless network and ethernet for network print function. Both Windows and Mac operating systems are supported for easy network setup and the printer offers Direct Connection Access point to enhance work efficiency. To save paper resources and printing cost, the printer supports Auto Duplex function. This makes multiple-page documents and reports neat and easier to read. Coupled with the capability to print double or even quadruple on a single sheet of paper, paper usage can be further reduced. A 5-line LCD is featured, with both supporting Traditional Chinese and English display to keep users well informed of the printers’ operation and status. The printer has the separate toner cartridge and drum unit, which can be replaced individually. This design helps reduce waste and significantly saves the environment by reducing the number of consumables change. With the new auto-removal of toner seal, users just need to “plug & play”. When the toner installed to the printer, the seal will be removed automatically. It greatly simplifies the toner cartridge replacement, maintenance easier, save time and lower long-term operating costs. The printer includes a Toner Status feature to remind users of the remaining toner so that a replacement can be made in due course. In addition, users can simply check out and enjoy same day delivery3 when ordering toner cartridges over HK$200 and placed before 11am in Canon Online Store, please visit http://store.canon.com.hk for more details. Concerning the importance of recycling, Canon also provides free pick-up services for 2 pieces or more used toner cartridges with the "Toner Cartridge Recycling Program", joining hands with users to save the environment. For every recycled toner cartridge, you will be rewarded a 10% off discount coupon for your next purchase at Canon Online Store. Please visit http://www.canon.com.hk/recycle for details. Canon provides comprehensive 1-year free on-site warranty service to users of the new printer. With prompt and professional services addressing maintenance and repair issues, users can be assured of high printing performance at all times. On the other hand, users can purchase extended warranty service for the printer. Canon’s new imageCLASS LBP162dw high speed B&W laser printer is now available for sale in Hong Kong with suggested retail price of HK$2,188. AirPrint and the AirPrint logo are trademarks of Apple Inc.
Google Cloud Print and AndroidTM are trademarks of Google Inc.
All data is based on Canon's standard testing methods. Subject to change without notice. Canon Inc. (TSE:7751 / NYSE:CAJ) was founded in 1937 in Japan. Its predecessor, Precision Optical Instruments Laboratory, produced Japan's first 35 mm focal-plane-shutter camera “Kwanon” in 1934. Canon Inc. eventually expanded into the photocopying and printing industries, launching Japan's first plain-paper copier NP-1100 in 1970 and the world's first inkjet printer BJ-80 in 1985. Through the years, Canon Inc. has acquired in-depth experience in digital imaging product manufacturing, and research and development. It is a leader in the development of innovative products and holds the most technology patents in the imaging industry. Canon Inc. also makes a significant contribution to the promotion of photography. Today, Canon Inc. has a strong global presence and is one of the most important market players in the imaging, office and industrial product categories. As of 31 December 2017, Canon's global revenue was US$36.1 billion. Copyright © 2019 Canon Hongkong Company Limited. All rights reserved.